Robert May is the founder of SenArt films, and the producer of several notable films: Bonneville, The War Tapes, The Fog of War, The Station Agent, Stevie, and the producer/director of his most recent documentary Kids For Cash. 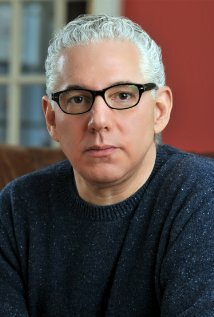 He has been an advisory board member for the Wilkes Creative Writing program since 2006, and the Wilkes Creative Writing department worked extensively with him on the production of Kids for Cash. I interviewed him about his creative process, after several days of metaphorically tapping his shoulder and finally managing to acquire some of his time. I began our interview by asking about which kinds of stories particularly spark his interest. May enthusiastically replied that he is a man who is enthralled by characters and intense character development. Next I was curious about the elements of a story that are indicative of success for May. What inspires him to move forward with a project? “If it’s a script—narrative film—when I read the script I want to be really attached to somebody within the first ten pages.” May says that it is crucial that he is drawn to what happens next. He also made it clear that, “this is not a hobby,” and that when he does move forward with scripts they do need to be “commercially viable.” He had once abandoned a script he really believed in because a similar movie was being produced, and he was concerned that it would create commercial competition. For a fictional narrative, a script must first be sent to a reader who will write a synopsis that determines whether or not the script is fit for production. From that point, if the script is viable, it will go either to May or his production partner, Lauren Timmons (or both), to read. For May, a script needs not only to be compelling, but also must have a meaning or a point. He’s not into goofy comedies made for pure entertainment value; he wants the audience to learn something. If May likes the script, the writer will be contacted, and the script will be sent to a line producer, who assesses the cost of production down to the very day—taking into consideration variables such as time, location, etc. May will call up an agency, pitch the project to an actor’s agent, and if the offer is accepted, he will then have to negotiate cost. For some actors, they won’t even agree to be a part of the project until it is “green-lit” or fully funded. The risk that the project may not acquire enough money to finish is too high for an actor to compromise his or her schedule. That being said, raising money for a film is a project in and of itself. “Sometimes,” May states, “if you are friends with an actor you can use those connections to raise money.” Otherwise, one must obtain a private equity loan, convince a studio to finance part of the film, or pre-sell international rights in advance, which May explains as a promise to finish the film in exchange for x amount of dollars. Once the money is raised, pre-production can begin on the film. A team of roughly 25 essential people are hired and every single aspect of production is converted into a timed schedule. The schedules of every actor on the film are manipulated to make sure that they can be present for filming. Location scouts are sent out and the budget for the film is continually updated and reviewed during the entire process. Once filming starts, at the end of each day footage is reviewed and, ideally, the editor is beginning to participate in the process as well. Editing, May says, can take up to about 14 weeks, during which time the editors manipulate the footage into a coherent, cohesive piece. The producer typically cannot even look at the film until ten weeks into the editing process, and then he or she works to help refine the material. However, May was very careful to distinguish the process of producing a fictional film from the process of documentary film-making. He emphasized the dramatic difference between the two, to the extent that I feel it is necessary to divide the discussion into two parts. Cliff-hanger! As the newly instated Graduate Assistant for the Creative Writing department here at Wilkes University, the task of maintaining The Write Life blog has been delegated to me. I am a local resident of the Wilkes-Barre/Northeast-PA area, I am 22-years-old, and I have just recently graduated from Franklin Pierce University in Rindge, NH with a bachelor’s degree in English Literature Studies. Also, because of the huge contributions that Wilkes University (more specifically our beloved Creative Writing department) has made to the upcoming documentary produced by SenArt films, which premieres this week, I feel it would be impertinent not to mention my personal involvement in the film. When I was fifteen-years-old I was unjustly imprisoned and sent to a girls camp for juvenile delinquents in Jim Thorpe, PA. My case was responsible for alerting the Juvenile Law Center, a child advocacy group located in Philadelphia, PA, to the questionable actions of former Judge Ciavarella and his heinous mistreatment of juveniles who appeared in his court room. Because of the Juvenile Law Center’s involvement and their resulting investigation into the former judge’s court proceedings one of the biggest juvenile justice scandals in our nation’s history was unveiled. I am featured in the upcoming film Kids for Cash by SenArt Films (alongside several other juveniles affected by former Judge Ciavarella). And while it may seem as though my decision to enroll in the Creative Writing M.F.A. here at Wilkes was a calculated career move, I assure you that it was more of a cosmic coincidence, divine intervention, or some sort of profound indication of the synergistic qualities of the universe. I have been a voracious reader from a very young age and have experimented with writing for an equally long amount of time. However, as many of us writers must feel at some point during our lives, I have never had the self-confidence in my own writing to pursue creative writing beyond writing mediocre, mopey poetry in my diary (“…it’s a journal, mom!”), and a personal blog for the entertainment of friends and family. In fact, it was my intention to apply to Wilkes in order to enroll in graduate education classes. However, Wilkes does not currently offer graduate Education courses for students who do not already have their teaching certification. As I continued to investigate some of the programs Wilkes does offer for graduate students, I happened upon the creative writing program and something inside me—perhaps my inner authoress—demanded that I apply. Having just trudged through the 501 residency, or “boot camp for writers” as many of the students so affectionately refer to it, I am much more optimistic about my potential to grow as a writer and I am beginning to put the title on, one sleeve at a time. From here on I hope to fade into the background and let my writing speak for itself, but I just wanted to make note of the transition currently taking place as I become the new Editor for The Write Life blog. I look forward to generating new ideas for blog posts and interviewing the talented writers made available through the creative writing program. I can only hope to be as successful an editor as the lovely Lori A. May, whose previous contributions as editor proved to be invaluable resources for fellow aspiring writers and members of the Wilkes community.